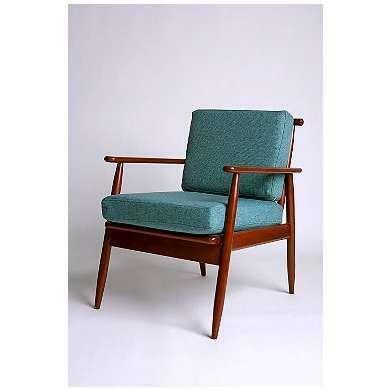 ... spotted the mid-century modern emerald-green chair in the window of the Salvation Army Store and was immediately smitten with its retro charm. “I knew right away I had to have it” ... said, adding that it was the kind of vintage find that “you just can’t get at Ikea.” After paying $20 for the period piece, he loaded it up on the roof of his car and took it home. There it sat home until one fateful night when ... became curious about several lumps under its cushions. After brief investigation, ... discovered a literal treasure trove of quarters, dimes, nickels, pennies, hair and food detritus tucked beneath its cushions. While the coins have no particular numismatic significance, ... insists that they will certainly come in handy. “I will never have to look for parking meter change again!” ... exclaimed, celebrating the find with a long-overdue trip to the laundromat.